A charcoal grey puffball of a cat glared at me diabolically from behind the enclosure of a window. His eyes bore into my shadow and gleamed devilishly as if he had just told us his nefarious plan to take over the world. The flash of my phone camera surprised the cat and he took off running, squalling in protest. I glanced sorrowfully towards the cowering feline and then turned my attention back to the path in front of me. The sheen of the golden shell logos of the Camino de Santiago guided our way through the town of Vilalba, past streets that were silenced by the ticking clock that told the time of 7:20 am. 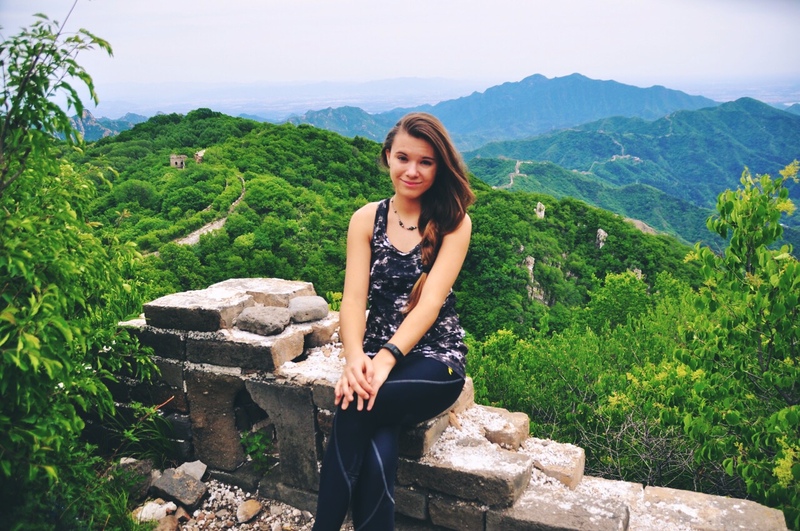 After being “locked in” for the night at the private Albergue and suffering through the unbearable heat and smell of 30 other pilgrims sweating, it was a welcome sensation to feel the cool morning mist attaching itself to our skin. 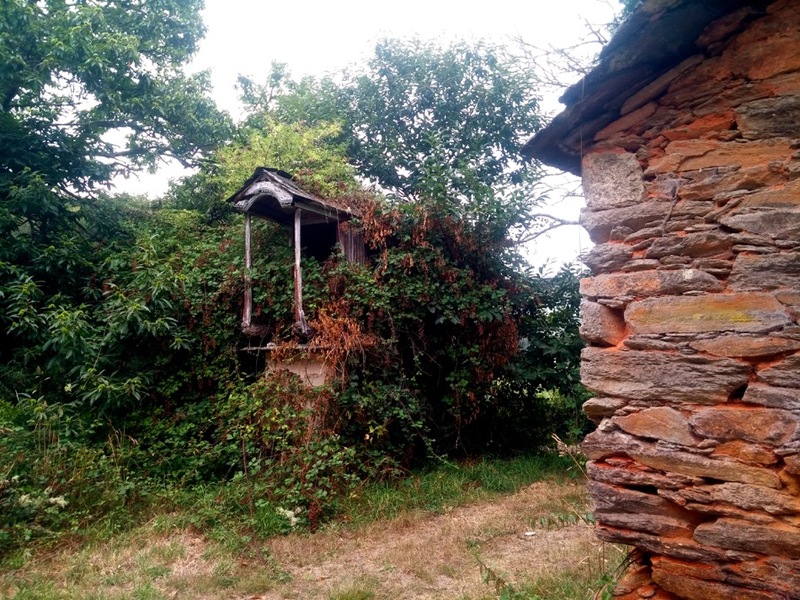 We crisscrossed through the farming outskirts of town and it was here, that a hidden root under a pile of slippery fallen leaves found its way to my foot and tripped me up. Suddenly, I was tumbling through the air, the world spinning from my impromptu somersault. I finally sat up with only a few cuts and grazes, nothing too serious at all. Once the shock of my fall subsided, we found ourselves face to face with an elderly man walking his adorable pooch. The gentleman stopped us when he called out a friendly greeting and asked where we were from. Once we answered, he revealed that his was from Hungary! Being Hungarian in background and having lived in Budapest for a whole year, we found this news to be very exciting. When we began to converse in our native tongue, the man then confessed that he wasn’t exactly from Hungary but from Transylvania, only a few kilometres away from the birth place of my mother! We spent a good 15 minutes talking, enjoying the fact that we had just met a fellow Transylvanian just outside a small town in rural Galicia, Spain! 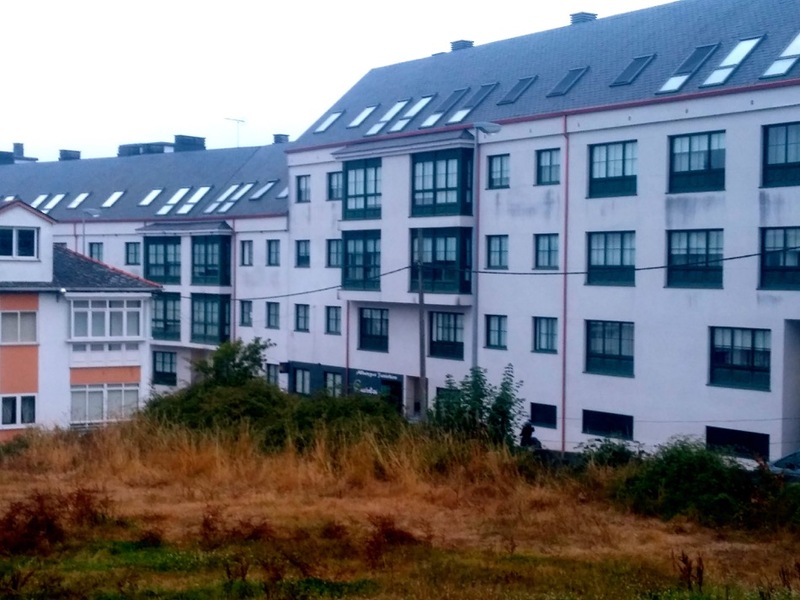 Continuing onwards, we immersed ourselves in the stunning Galician countryside once again, marvelling at the alluring meld that was the valleys and the forests. 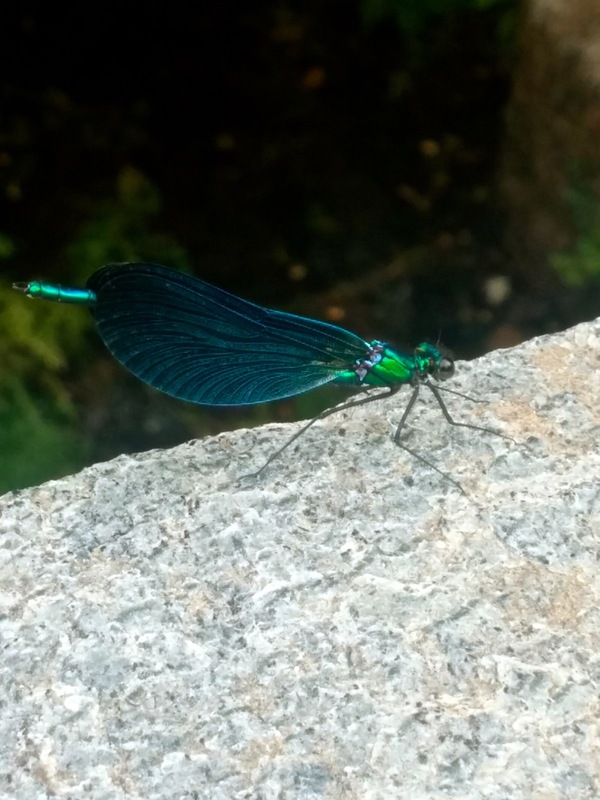 Picturesque river crossings displaying azure and autumn colours; a languid, creamy-white horse that reached eagerly for a loving pat; an extraordinary ultramarine buzzing dragonfly; a cluster of cyanic flower blooms… and so much more, to be captured by the internal memory cameras we each carry inside of us. 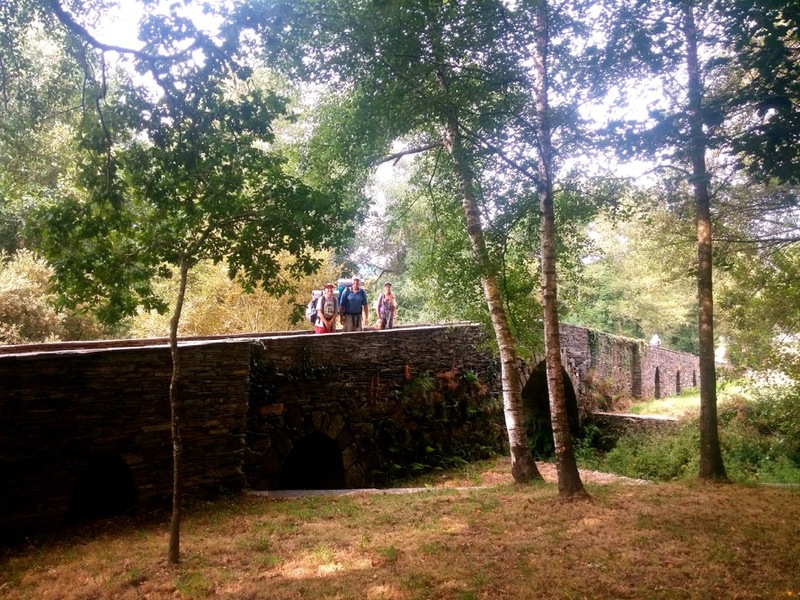 Along the path, we chatted with a friendly pilgrim named Anna, who was from Madrid, and took turns taking each other’s picture as we crossed the ancient, medieval Bridge of Saa. 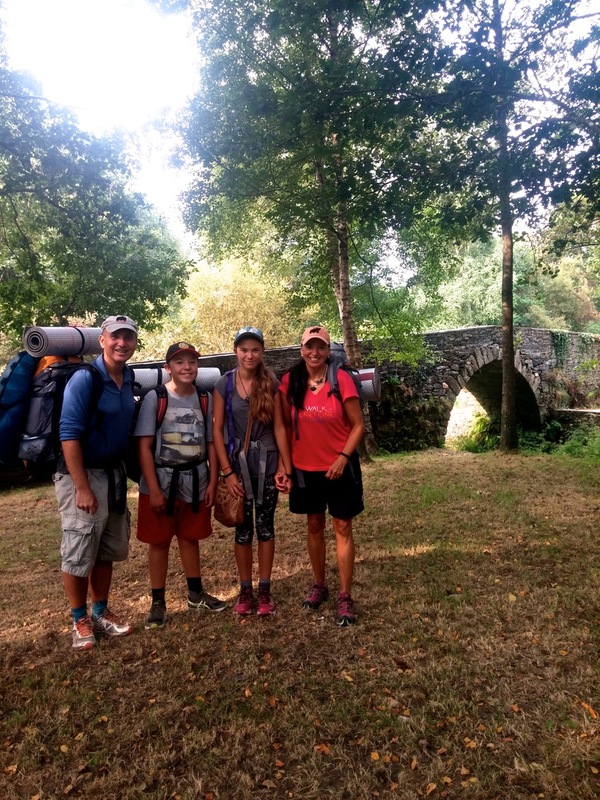 We devoured sugary ice-cream sandwiches for energy and then celebrated when we passed a sign that showed we only had 111.111 kilometres until Santiago de Compostela. It was true that we were coming to the end of our Camino journey and with only 5 days left we were determined to enjoy every moment of it. Passing through a temporary woodland of regal oak trees we suddenly heard the ear-splitting pounding of a mechanical machine. Venturing closer, we looked inside to find an old blacksmith, working his craft. Beckoning for us to come up to the large window opening, we struck up a conversation with the elderly man whom we discovered was 83 years old. 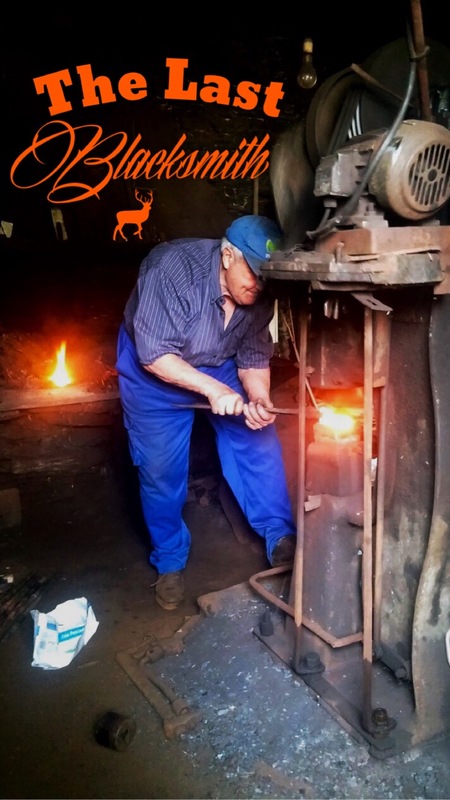 Fiery sparks flying, the blacksmith demonstrated his craftsmanship, standing sturdy as he expertly twisted and turned the red hot poker as the machine struck the metal, melding it while it was still sizzling. 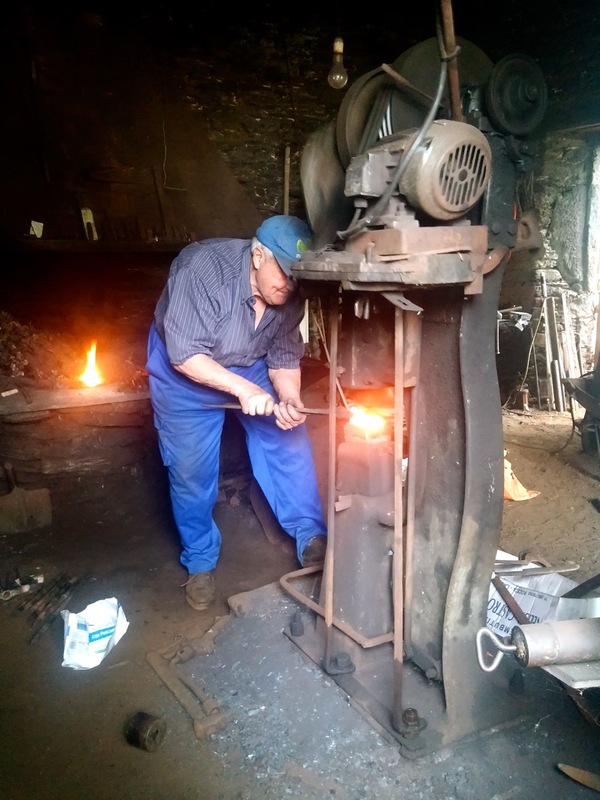 Returning to us, we learnt that the craft of a Blacksmith had been in this family for four generations, beginning with this man’s great grandfather. The old man told us that his two daughters were not in the least interested in this ancient art and because he had no son, the line would end. This was The Last Blacksmith. We walked onwards, spotting in our track a cycling glove and thinking of the Camino Cycler who had probably dropped it by accident. Not even 10 minutes later, we spotted the cycler bearing only one glove on her hands. 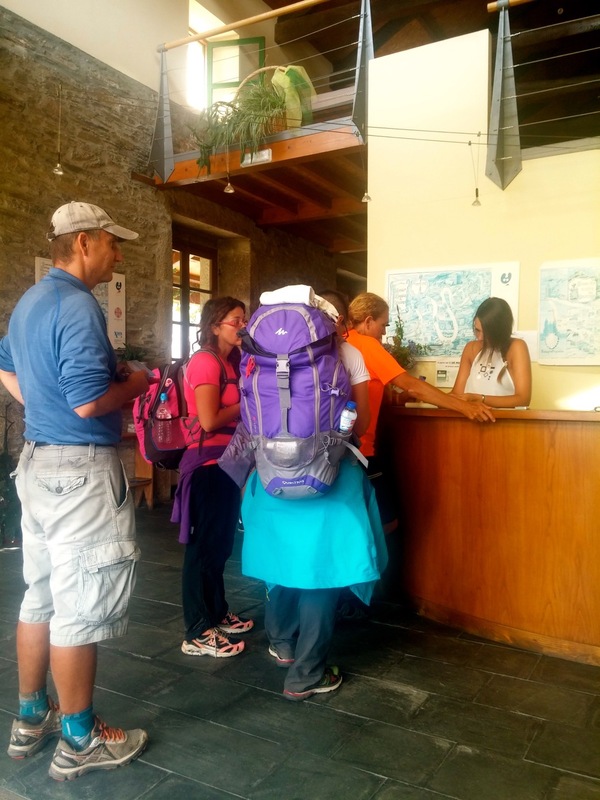 They had stopped for a chat with another couple who were cycling the Camino themselves and the smile that alighted her face when we returned her glove seemed to wash away all the exhaustion that we were feeling. Offering us a reward of a few lollies (candy) that we shared, we powered on to reach the minuscule town of Baamonde. Entering into the delightfully modern Albergue, for 6 Euros per person, we occupied 4 out of the 96 available beds by the big bay windows. After our usual routine of ablutions, and changing into our fresh clothes, we walked into the town to buy some food supplies. 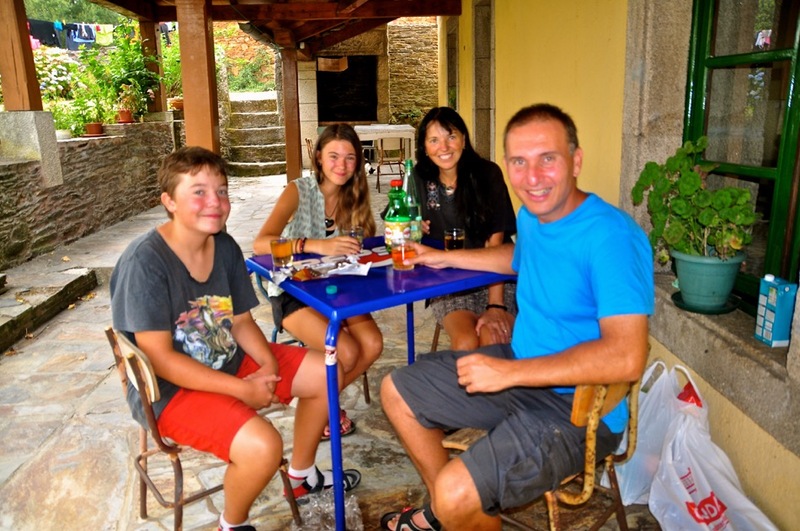 This Albergue was equipped with a rare treat, a modern kitchen, although it somewhat lacked pots and fry pans. This provided us the opportunity to prepare some nutritious cuisine, alternative to the regular and often bland pilgrim menus we had become so used to and we jumped at the chance. We found the only the store in town and arrived just as siesta was winding down to be the first to enter the shop. Seeing some beautiful fresh blazing red capsicums, onions, and potatoes and being inspired by meeting both The Transylvanian man and The Last Blacksmith, we opted to make “Pityóka Tokány” / Paprikás Krumpli. This traditional, yet simple hearty Potato Paprika Stew is a meal known and loved throughout all Hungarian regions. Legend has it that the meal’s origin dates back to the 15th Century King Mátyás (Matthias) the Just. Knowing that a happily fed people never revolt, King Mátyás placed on his kitchen table, ingredients growing locally in Hungary and commissioned renowned Chefs of the time to design a national menu, from only the ingredients they saw on his table. The objective was to create a menu as enticing and acceptable to the highest lords of the land, while also creating something that was wholly accessible and practical enough for even the simplest peasant or working Blacksmith to be able to prepare. Needless to say, this was a success and “Pityóka Tokány” / Paprikás Krumpli is, to this very day, regularly prepared in every Hungarian home. 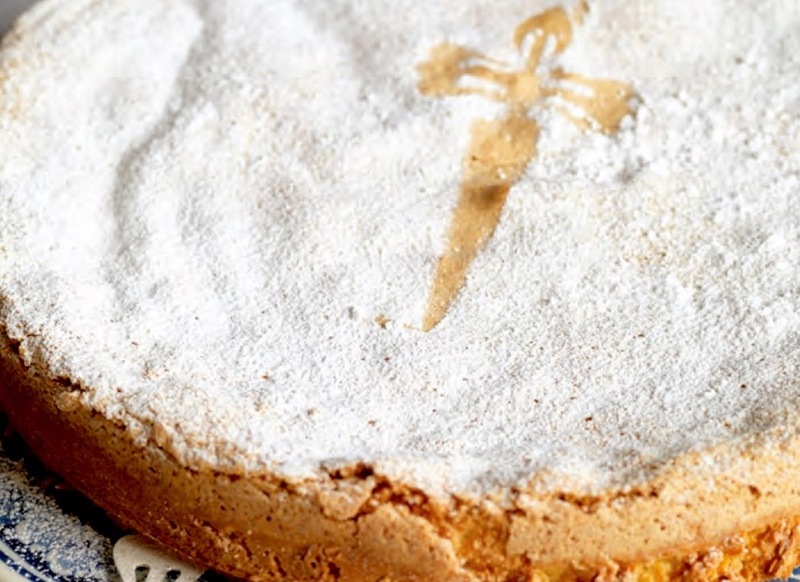 Along with this, we also purchased a Santiago de Compostela cake, the famous crossed tart, composed of a carefully baked sugary marzipan-like almond meal paste, filled with a soft chewy centre, dusted with an equally unhealthy level of powdered sugar. As we came to the counter the lady and owner of the shop asked us if we were staying at the Albergue. We answered in the affirmative to which she graciously offered us a pot to cook our Paprikás in, as she knew the situation at the Albergue. We were sincerely grateful and vowed to return it before she closed. With this, we returned to the Albergue and Mum and Dad set to a frenzy of preparations and cooking. 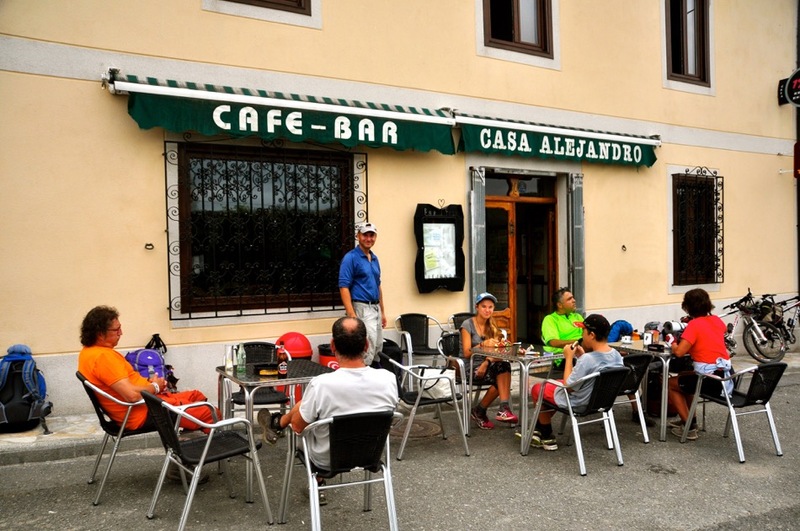 Soon the aromas wafting throughout the Albergue were attracting the attention of many a Peregrino (pilgrim), amongst them now we saw our bicycling Peregrino friends we had met earlier in the day. Whenever Dad makes this meal he always makes a pot full of it, with a healthy amount of leftovers. 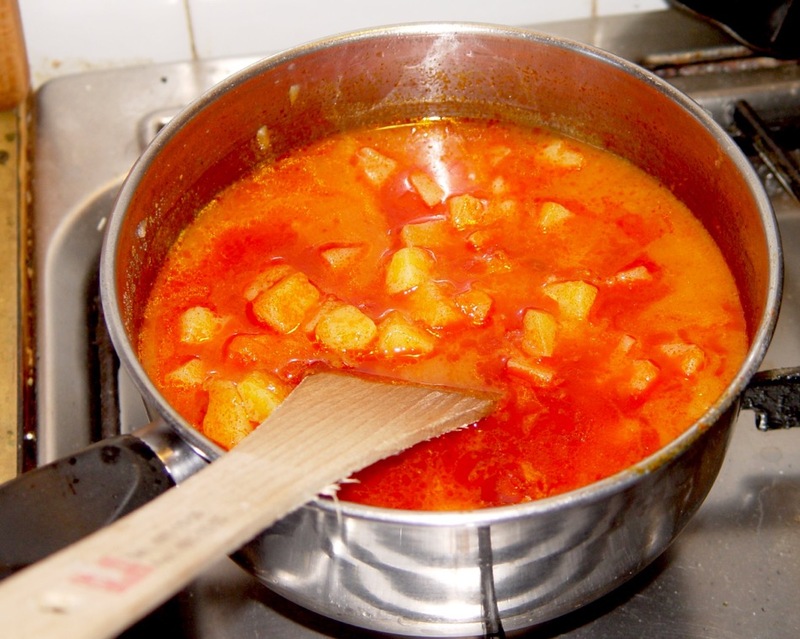 You see, the secret I will happily share with you about this meal and many other Hungarian meals infused with Paprika, is that they actually get better a day or two after they are cooked. The spices and ingredients meld in an infusion of taste that adds an enticing complexity and maturity to the flavour. While we would not have a place to store leftovers on this trip, we were certainly prepared to share the wealth of excess with our fellow Peregrinos, all of whom were more than happy to partake. The smiling looks on their faces and all the ‘ooohs’, ‘mmmhs’ and ‘ahhs’ was all that was necessary to decipher that it had hit the spot. The thought of The Transylvanian man and The Last Blacksmith came to mind and I knew in my heart that they would have enjoyed this too. We then shared our equally delicious Compostela Cake and were truly content. 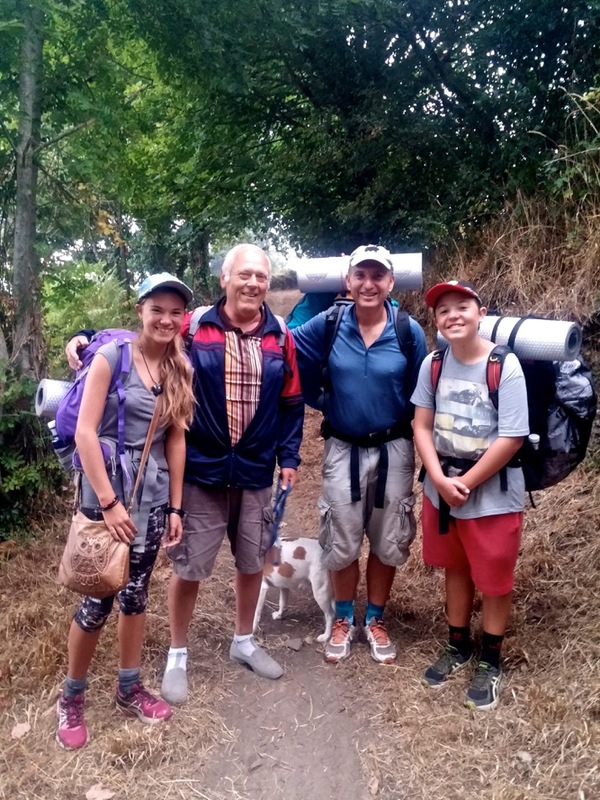 We made some light conversation, and as with all days on the Camino, once 9 pm arrived, the intense feelings of exhaustion seemed to overwhelm our senses in an instant. 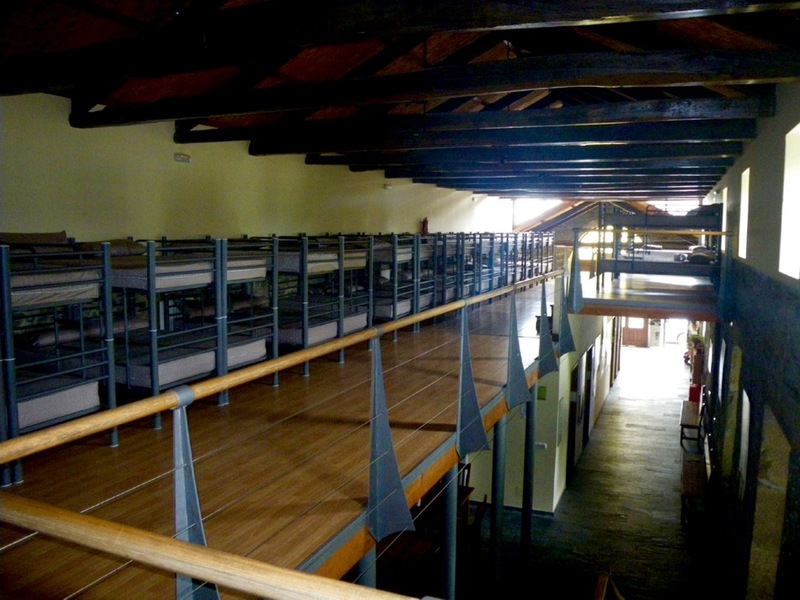 We all bade each other farewell and after brushing teeth and washing faces, we sank into the soft mattresses. I was asleep in moments, dreaming of a time far away as the sweet scent of cinnamon buns that someone was baking down below wafted up to the rafters above us. 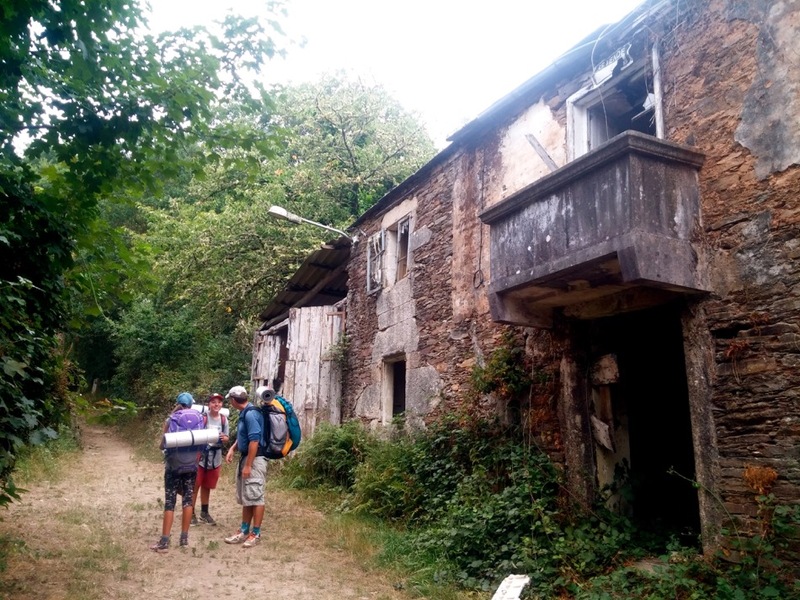 Draga Rekicam, Nagyon elveztem ujra az emlekeidet a Camino de Santiago-rol. Mar nincs sok hatra a vegere ereshez. Nagyon-nagyon buszke vagyok Ratok foleg Rad es Lalikara, hogy ezt az utat megtettetek. Ez nem volt egy konnyu dolog. Orultem, hogy mas is szerette a “Pityoka tokanyt” “Paprikas krumplit” koszonom Rekicam, hogy megosztod elmenyeidet!! Nagyon Szeretlek a te nagymamikad.